If you’re an American user of WordPress.com, you can manage your blog via text messages now. The feature has just been added by WordPress which will also alert users with text messages about things like new users joining or leaving their blog, a change in theme and updated privacy settings. This is not all though. If you’re willing to pay $ 20 per year, you can get access to a number of extra features, e.g. •	The ability to protect your blog with a two-step login process. You’ll get a text message on your phone when you log in to your dashboard that contains a pass code that must be entered before you gain access to your blog. •	Text notifications when you receive a new comment, plus the ability to approve or delete comments and the ability to send in your own comment replies. •	Get notified when a new post is published to your blog. •	The ability to publish quick updates to your blog instantly. This feature will benefit users who do not use smartphones and manage their blogs from the web. An ordinary mobile set will now be able to provide users with the facility to manage their blogs while on the go. 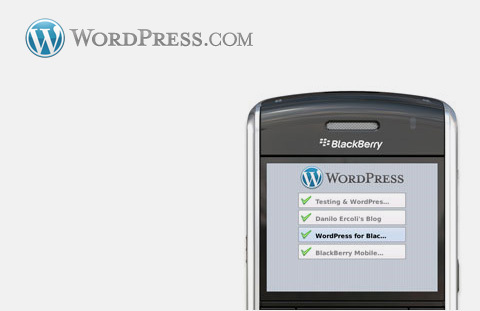 Smartphone users (iPhone, Android, BlackBerry) already have access to various official WordPress mobile apps which allow text message updating and management and also the ability to post photos, videos and editing posts. There are more regular phone users in the world than smartphone users and this feature can help bring mobile utility for these users via a simple SMS. Let’s see if the service proves to be useful and popular or gets ignored.